1. Models and the Coastal System. Introduction. Background to the systems approach. Why the systems approach? The coast as a system. Studying the coastal system-holistic and reductionist views. Significant system characteristics. Modeling the coastal system. 2. Modeling the Simulation of the Coastal System. General concepts and terminology. Why simulation? The simulation process. 3. Modeling of Offshore Structures. Introduction. Similarity laws in model testing. Scaling of a Froude model. Dimensional analysis. Scaling of wave forces on structures. Scaling of Reynolds effects. Scaling of Strouhal effects. Scaling of towing resistance. Scaling of soft volumes. Scaling of hydroelastic models. Distorted model. Scale selection and model design. 4. Wave Prediction Models. Introduction. Empirical models. Wave climate models. Wave refraction and shoaling. Shallow water models. Numerical models. Conclusions. 5. Computer Simulation of the Characteristics of Shoreward Propagating Deep and Shallow Water Waves. Introduction. Comments on previous wave modeling studies. Model development. Model execution and results. Limitations and refinements. 6. Sandy Beach Geomorphology Elucidated by Laboratory Modeling. Introduction. A basic model for describing beach change. A parameter describing the on-offshore sediment transport direction. Beach profile demarcation. Berm-step system. Bar-trough system. Beach-face slopes. Rhythmic shore forms. Shoreline change. Concluding remarks. 7. Beach Profile Development. Introduction. Theory. Equilibrium profile. Time factor. Method of calculation. Model testing. Three-dimensional test. Effect of tidal smearing. Distribution of eroded sand offshore. 8. Space Time Monitoring of Beach Morphodynamics: A Black Box Approach. Introduction. Systems-theoretic view of beach management. Treating the beach as a control system. The Point Pelee situation. Processes affecting the beaches of Point Pelee. The effects of artificial structures. The study area. Observations at the Northeast Beach, 1978-1986. Implications of the study results. 9. Sea Level Oscillations and the Development of Rock Coasts. Introduction. The model. The paleo-sea level record. Falling and rising sea levels. The last glacial/interglacial sequence. Multiple sea level oscillations. Discussion. 10. Computer Simulation of Wave and Fluvial-Dominated Nearshore Environments. Introduction. General remarks on model development. Simulating wave characteristics with program WAVE. Background for three-dimensional simulation of wave processes. Numerical methods for solving equations. Main program. Program SEDSIM. Modifications to WAVE and SEDSIM. Input data for SEDSIM. Execution of WAVE and SEDSIM. Execution and results of WAVE and SEDSIM. Conclusions and limitations. 11. Preferences over Cyclical Paths Generated by Predator-Prey Interactions: An Application in Coastal Ecosystem Management. Introduction. Predator-prey models. A model. Preferences. Concluding comment. 12. Remaining Problems in the Practical Application of Numerical Models to Coastal Waters. Introduction. Data compatibility and availability. Computing limitation. Interagency cooperation. Model validity and availability and personnel training. Summary and conclusions. Subject Index. The importance of models to facilitate our understanding and management of the coastal system is evident from this book, which shows that the preference for using models to study the coastal system is shared not only by different research institutions (government, military, industry and academia), but also by researchers from diverse backgrounds. 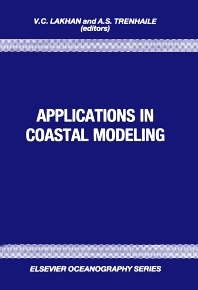 With contributions from several leading experts a variety of models - physical, analytical, numerical and computer simulation - are presented on various components of the coastal system. The book opens by examining the coast as a system, and provides an overview of models, systems concepts, and the systems approach. It next covers the simulation design process, stressing that modeling and simulation should form an interface between real-world processes, and the field of General Systems Theory. It is clearly shown that a system can be investigated with more than one type of model. For example, it is shown that waves can be studied with physical models, empirical and numerical models or with computer simulation models. Likewise, beaches can be investigated with physical, numerical or empirically-based models. The indispensability of models to enhance our understanding of coastal dynamics and associated component systems is emphasised. Mathematical modeling of rock coast development and the simulation of deltaic depositional systems are covered. A chapter on analytical modeling of predator-prey interactions highlights the fact that the coastal system also has biotic resources. Finally, problems which have to be overcome for the practical application of numerical and simulation models are discussed. The explanatory and detailed formulation of the various models, together with more than 100 figures, make this book worthwhile reading for senior undergraduates, graduate students, and all coastal researchers interested in the formulation and application of models of the coastal system.